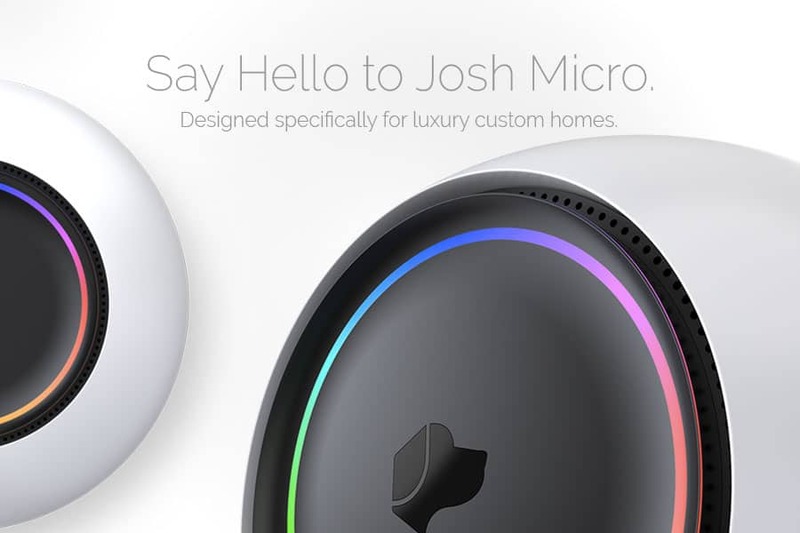 Josh.ai is the “Sophisticated AI for the luxury home.” Josh welcomes you home in real-time. Before you’ve even put down your bags, Josh has adjusted all interior and exterior lights according to your preferred settings. He starts up the fireplace. And turns on your end of the day playlist. If only he could pour you a glass of wine, he would be the perfect boyfriend. In the age of Alexa and Google, how does josh.ai compare? Josh is dedicated to you. “Nader Dajani, head of business development at josh.ai, explained that Alexa’s primary role is to increase Amazon’s revenue by selling you stuff. Google Home’s primary role is to collect information about you so Google can do a better job targeting you with advertising. Josh’s primary role is to control your smart home. Because of this, Josh has a broader understanding of commands to control a home.” –Residential Tech Today. Josh Micro devices are placed in dedicated rooms. Each room of your house with automation gets a Micro. When you walk into a room, your voice commands Josh through the Micro. So the AI knows which room you are in as well as the technology linked to that room. Micros are “small but mighty,” fitting into the palm of your hand, and sporting a sleek sophisticated design that blends into your home. The josh.ai technology interfaces seamlessly with a myriad of audiovisual, lighting, and climate control products. You can pair Lutron lights, Nest Thermostat, Meridian Speakers and many more beautiful smart home products with Josh. The AI also acts as the front end concierge for Integrated Control Systems like Savant and Crestron. Take a look at Josh’s favorite friends here. 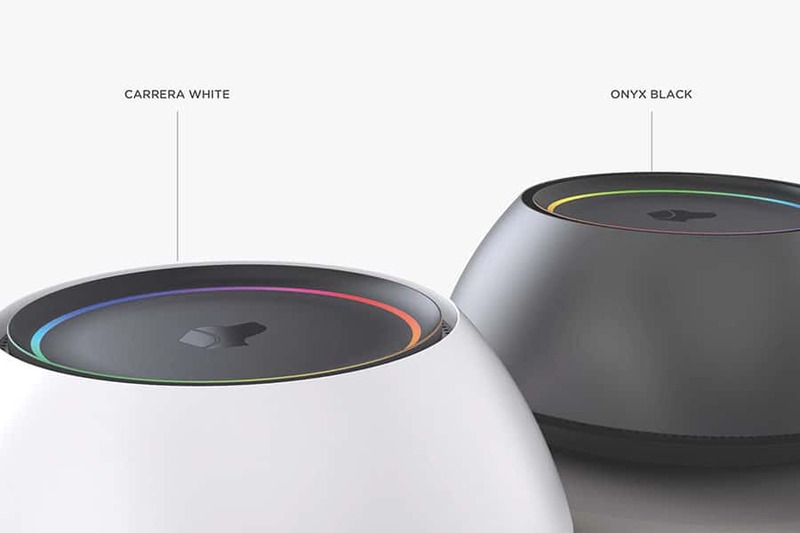 Staying connected to your home while you are away is incredibly simple with Josh. The app is compatible with Apple and Android devices. You can program in multiple properties. Arm the security of your DC Brownstone after the cleaning crew leaves, and at the same time, turn on the perfect sunset playlist for your Miami Penthouse. Sit back and let Josh do the work while you take in the ocean breeze. Josh is the loyal assistant for a luxury lifestyle. Designed specifically for the unique characteristics of a fully automated home, josh.ai gets you. Josh keeps your home the way you like it, your secrets safe, and your mind at ease. If you would like to learn more about voice control automation for your home, feel free to connect with us. We will be happy to schedule a demo with you.